Wu Gorge (simplified Chinese: 巫峡; traditional Chinese: 巫峽; pinyin: Wū Xiá), sometimes called Great Gorge (Chinese: 大峡; pinyin: Dà Xiá), is the second gorge of the Three Gorges system on the Yangtze River, People’s Republic of China. Formed by the Wu River, it stretches 45 km (28 mi) from Wushan to Guandukou, and is located downstream of Qutang Gorge and upstream of Xiling Gorge. The gorge straddles the boundary between Wushan County of Chongqing Municipality (formerly part of Sichuan Province) and Badong County, Hubei Province. 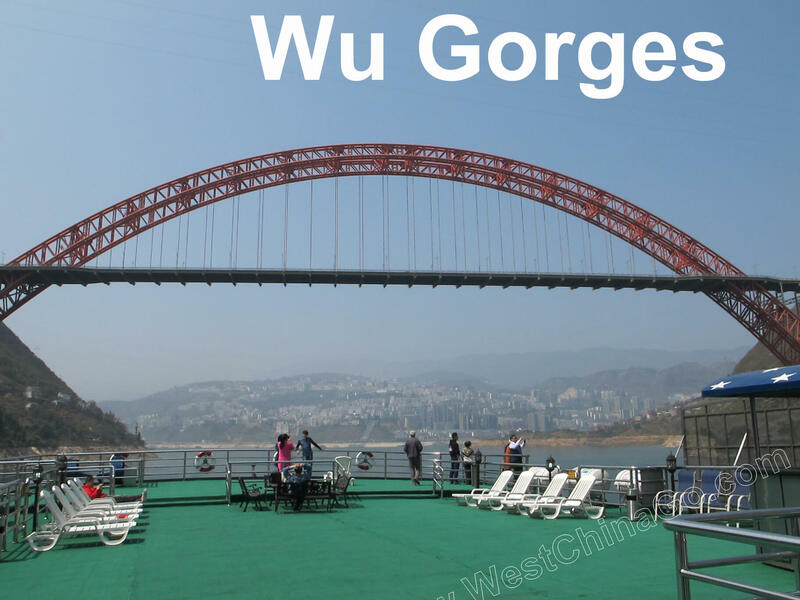 The Gorge has been known as the Wu Gorge since at least the Three Kingdoms Period, when it was recorded in the geographical treatise Shui Jing Zhu. In 589 AD, General Lü Zhongsu of the Chen Dynasty stationed troops in the Wu and Xiling Gorges in an attempt to stop the advancing Sui Dynasty armies. Tang Dynasty poet Yang Jiong wrote a classical poem entitled “Passing Wu Gorge” (Chinese: 過巫峽).